The National Highway Traffic Safety Administration announced today that Kawasaki Motors Corp. USA issued a recall notice on its ZX14 motorcycles due to a faulty rear suspension. 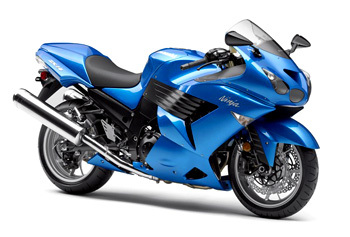 Summary: KAWASAKI IS RECALLING CERTAIN MY 2006-2007 ZX14 MOTORCYCLES. THE REAR SUSPENSION CAN COLLAPSE WHEN A CROSSMEMBER SEPARATES FROM THE FRAME. Remedy: THE MANUFACTURER HAS NOT YET PROVIDED A REMEDY OR OWNER NOTIFICATION SCHEDULE FOR THIS CAMPAIGN. Now I have a reason to be scared of the big Ninja! My notice came june 6th. Letter typed mid may! Ite really huge and look at its style, it seems that Kawasaki is dealing in gigantic bikes and i am waiting for it when it will launch. and What is the approximate price of the bike?? That's not good. I want one.